The decayed area of the tooth is first removed during the procedure. A mold of the tooth is then taken and sent to a dental lab. They create a restoration made from porcelain, gold, or a composite resin. 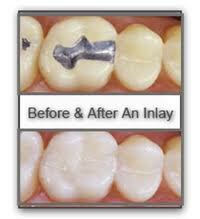 The restoration takes about 2-3 weeks to make, so a temporary inlay or onlay will be placed on the tooth for that time. 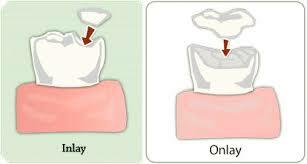 During your next visit, the inlay or onlay will be placed into your mouth and set with cement. Your tooth will look natural, and you or anyone else won't be able to tell the difference.